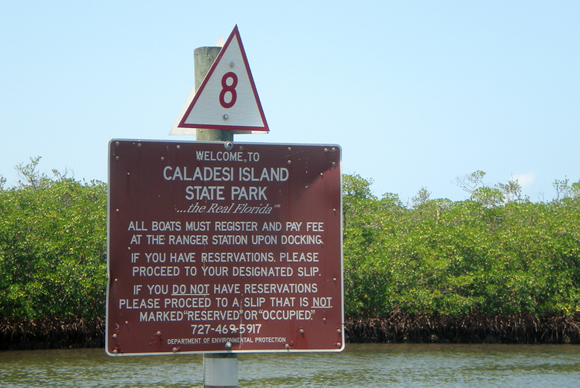 There are two ways to get to Caladesi: Private boat or take the Caladesi Connection Ferry service that operates out of Honeymoon Island State Park. To ride the ferry, take Curlew Road (Hwy 586) out of Dunedin and drive west. It will take you across the Dunedin Causeway to Honeymoon Island where you pay an entrance fee. Then follow the signs (a few hundred yards) to the Caladesi Ferry parking area and EXPERIENCE HASSLE FREE PARKING. Purchase tickets at the ferry booth. The ferry will take you on a relaxing 15-20 minute ride over the calm waters of St. Joseph Sound to Caladesi Island where you will disembark at the marina next to the cafe on the bay side of the island. Then you will have a 5 minute walk across the island to the beach over paved sidewalks and a wooden dune walkover (boardwalk). Beach wheelchairs are available from the park rangers on a first-come, first-served basis. Boats are designed to accommodate individuals with disabilities. Boat crew will provide assistance to those who require it. Check out our Caladesi Island Ferry Specials and Coupons! The Caladesi Ferry runs every day as long as the weather permits. There are two ferry boats. Departures from Honeymoon begin at 10:00 a.m. every half hour. Seasonally adjusted weather permitting. Price and times subject to change. Pets are not permitted on the ferry. The taking of live shells is prohibited. 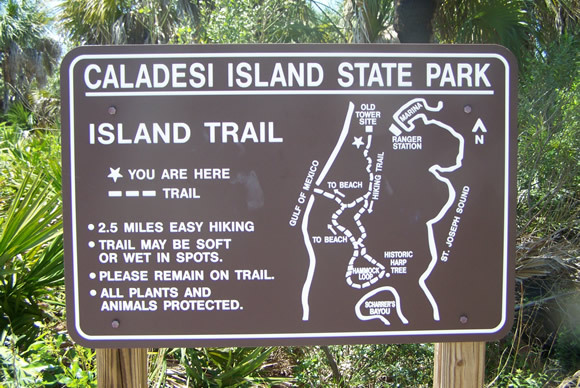 Caladesi Island State Park is undoubtedly one of the gems of the Florida State Parks system and it provides a comfortable hike. 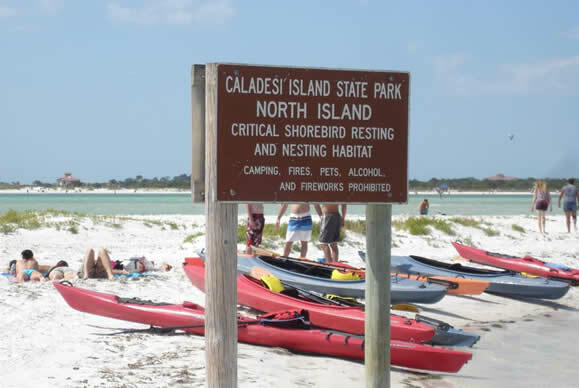 Caladesi Island is a protected State park, therefore, alcohol, fireworks and pets are not allowed on the beaches. All boats must register and pay a fee to dock on Caladesi Island. Reservations could be made ahead of time.